Iran reopens nuclear plant that was idle for nine years as it prepares to increase uranium enrichment. Iran has reopened a nuclear plant that was idle for nine years as it prepares to increase uranium enrichment capacity if a nuclear deal with world powers falls apart after the U.S. withdrawal, Reuters reports. Iran’s atomic energy agency (AEOI) made the announcement about the reopening of the plant on Wednesday, according to the news agency. U.S. President Donald Trump last month withdrew from the 2015 Iran deal, which saw Iran restricting its enrichment program and in return won relief from sanctions. Iran notified the International Atomic Energy Agency (IAEA) earlier this month that the Atomic Energy Organization is opening a center for producing new centrifuges for uranium enrichment at Natanz in the wake of the U.S. withdrawal. European signatories to the deal are trying to save the accord, which they see as crucial to forestalling an Iranian nuclear weapon. Iranian Supreme Leader Ayatollah Ali Khamenei, however, ordered the AEOI this month to start preparations to upgrade enrichment capacity in case the European efforts fail. The AEOI said on Wednesday that in response to Khamenei’s order and Trump’s renunciation of the deal, a plant for the production of UF6, the feedstock for centrifuge machines that enrich uranium, had been relaunched and a barrel of yellow cake has been delivered there. The UF6 factory, which had been inactive since 2009 due to a lack of yellow cake, is part of the Isfahan uranium conversion facility, the AEOI said on its website. 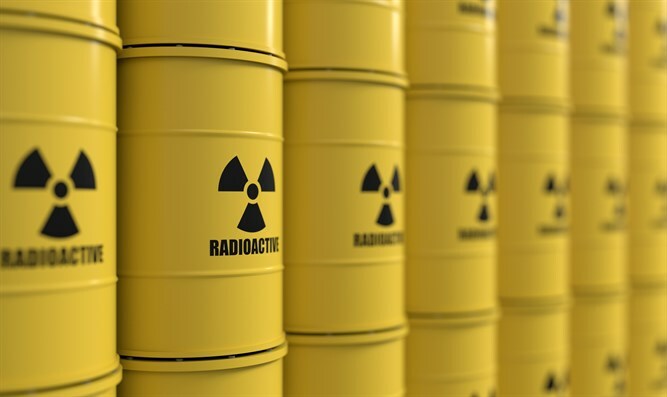 French Foreign Minister Jean-Yves Le Drian has warned Iran that its plan to increase its uranium enrichment capacity took it close to a "red line". "It is always dangerous to flirt with red lines," he said shortly after Iran announced its intentions, though he stressed that these plans did not constitute a breach of the 2015 deal.